"Don't blame yourself if you miss out on a job." Power generation plant operators control and operate a range of machinery and instruments used in the electricity supply industry (ESI) for generating electric power. This may involve mechanical, electrical or chemical processes. They work in control rooms, operating a controlling console, and also out in the plant. Shiftwork is required. To become a power generation plant operator you usually have to complete an apprenticeship or traineeship in ESI Generation (Operations) or ESI Generation (Systems Operations). Entry requirements may vary, but employers generally require Year 10. You may also be able to cross over into this occupation from the related occupations of Electrician and Engineering Tradesperson - Mechanical. See the separate entries for these occupations for entry details. Depending on the method of power generation, industry standards may require power generation plant operators to hold a licence to Perform High Risk Work issued by SafeWork NSW or WorkSafe ACT. To gain a licence, you will need to register with an approved Registered Training Organisation and work under the supervision of a licensed operator. You will need to keep an approved logbook to record competencies achieved during training. Assessment by an independent assessor will then be required. To obtain a licence, you need to be at least 18 years of age. Contact SafeWork NSW or WorkSafe ACT for more details. Power generation plant operators work for electricity supply companies in their various power stations. They are also employed within the oil and gas sector for gas compression, process steam and power generation, and the mining and processing sector for process steam and power generation. The demand for power generation plant operators is influenced by the growth in demand for power and changing technology. Employers generally seek people with the ability to undertake maintenance and operator tasks. Therefore, power generation plant operator positions are often filled by already qualified electrical or mechanical tradespersons. A detailed DESCRIPTION of the job. Some of the main TASKS a person might normally do. Areas of SPECIALISATION within that occupation. The PERSONAL REQUIREMENTS or skills which may be needed. The level of EDUCATION and TRAINING to get started in the job. with links to the Job Outlook page for that job. ADDITIONAL information about the job may also be provided. Links to other RELATED JOBS here at COL. Links to current JOB VACANCIES in that occupation. And further web contacts for FURTHER information. Just move your mouse over each icon to see what they mean/link to. An alphabetical list of jobs to view. 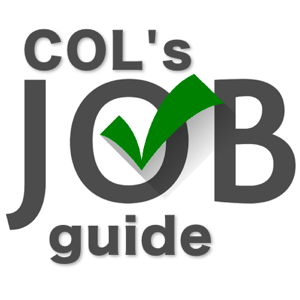 If you spot an error, or have any suggestions to improve COL's Job Guide, then please contact us. Job Search? Look for and press ENTER. Please contact us to notify errors or suggest improvements. Australia's Careers OnLine : Professional Careers Advice for job seekers on the 'net since 1995! Fresh Flowers and Gifts, for Mother's Day Flowers and Mother's Day Gifts.